Just in case you missed it last week, Erin at Apartment 34 shared her newly redesigned office space. 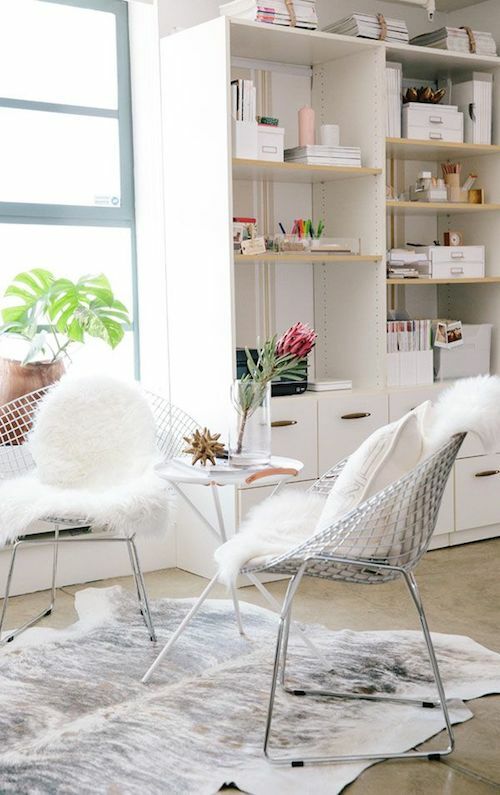 Having grown the team behind her lifestyle blog over the past year Erin reinvented her previous design to maximize her studio space. Sacrificing the solo desk space, pictured above, for a collaborative work table and a "creativity charging station" had to be a tough change but the new design is just as gorgeous. 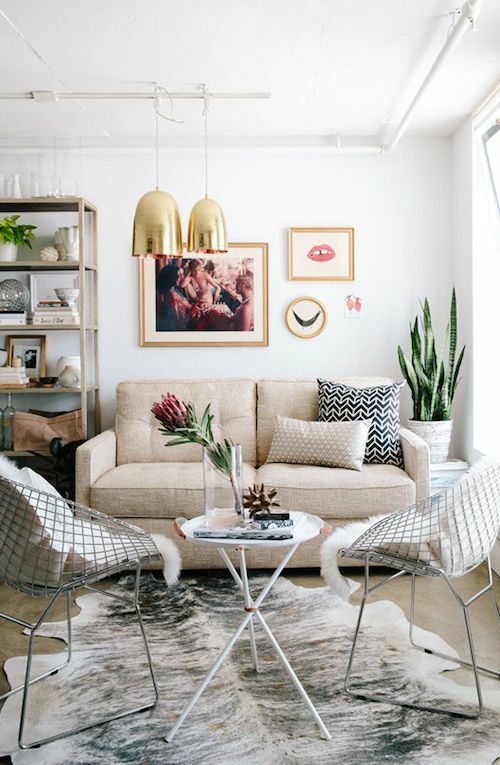 The color palette is still the divine combination of whites, golds and neutrals that creates an airy and bright space perfect for encouraging creative work. 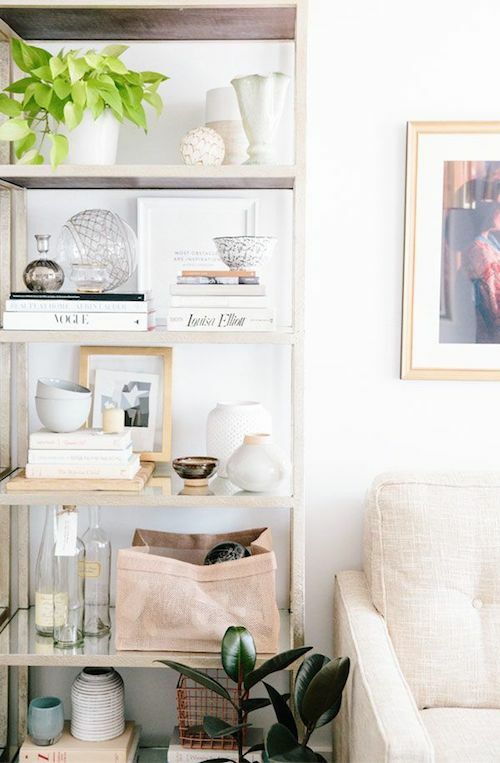 And can we talk about the bookshelf styling on the decorative shelves? I'm in love, going to have to get to work on my own shelves tonight! Check out more images of the office reveal here and here.